The other day I noticed that Joan Didion had filled out the Proust Questionnaire. Years ago, I’d read about the Proust Questionnaire, a kind of parlor game popular in late 19th c. Europe, where friends compared their answers to a particular set of questions. The questions were said to reveal one’s True Nature. Two examples of Proust’s answers survive: those from a birthday party, in which Proust, then 13 was asked to answer fifteen questions in Antoinette Felix-Faure’s birthday book; and those from another social event seven years later. The questions are similar, but the answers reflect the different mindset of a twenty-year-old man from a 13-year-old boy. Vanity Fair has maintained various celebrities’ answers to the “Proust Questionnaire” as a regular feature on its last page, as well as an interactive version for mere mortals to enjoy. 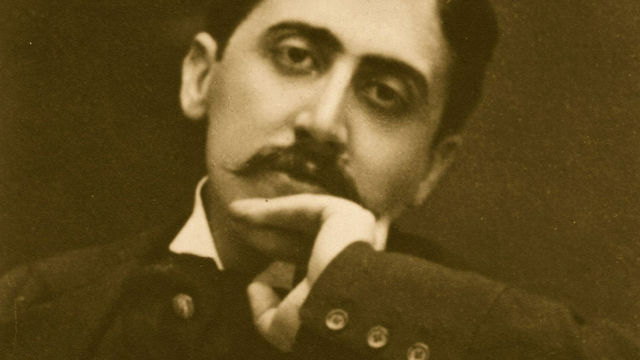 You can find Proust’s answers to the questions, as well as join the more than 2000 people who’ve participated in the “The Proust Questionnaire Archive” here. These are shared, not because I think anyone is much interested in my answers, but because thinking about the questions is worthwhile. Contentment with what I have. Everyday I make an effort at Being Fearless. I’m almost there. Eleanor Roosevelt. William Faulkner. Boadicea. It depends on the day. What is your favorite way to fill your hours? Treasure hunting. Reading. Friends. Anything but writing. Okay, writing sometimes. That there’s so much of me. All or none. There are many I hold in contempt, but few that I would waste so much emotion on as to despise. That I wasted so much time. And continue to. On the ground in the winter leaves with a hound, lost 9 days, wiggling with joy in my arms. I’ll only know when I reach the end of my life. My son, though, is high on the list. I love where I live. I just wish it was closer to the sea. Willfulness. That’s both a blessing and a curse. Laughter. Love. Loyalty. Not necessarily in that order. Randall Jarrell. James Joyce. Faulkner. And a thousand others. The hunter, in Randall Jarrell’s The Animal Family. My husband. My mother. Elizabeth Warren. Al Jenkins, the coroner of Park County, Montana. Edward Hopper. John Singer Sargent. Alex Colville. Beatles. And so many more.